Many Coppice workers will demonstrate their skills and knowledge at shows and fairs and offer great value for money entertaining crowds and visitors eager to watch and learn traditional skills. The spring and summer show season is an important part of the coppice workers calendar, payment for demonstrations helps support their business and provides an opportunity to sell and promote their work. 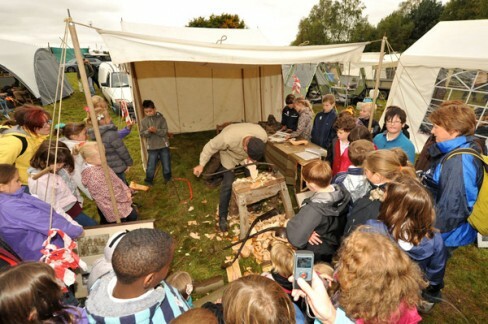 A wide range of demonstration and activities are on offer including pole lathe turning, basket making, charcoal making.